Tallinn TV Tower restaurant offers its guests simple, refined and familiar local flavours. 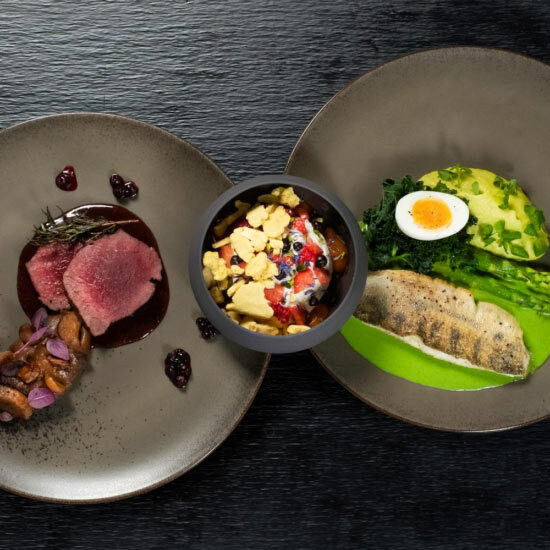 The menu reflects Estonian cuisine’s long lasting traditions with modern gastronomical twists. The food provides a chance for locals to reminisce, while giving foreign visitors an exciting experience while they discover how rich and colourful a small nordic country’s cooking can be. The restaurant’s beverage selection is carefully designed to enhance the menu with drink suggestions that include an excellent local assortment of craft drinks such as the beers from the Pühaste and Kolk breweries, a wide choice of Metsis gins, Jaanihanso’s artisan ciders, natural lemonades and much more. Of course legends also have a place on the drink card – Estonia’s oldest liqueur Kristallkümmel and the distinguished Vana Tallinn are great choices to finish your meal with.